Mid Century Mrs: Short Update. I didn't get much done around the house this weekend. 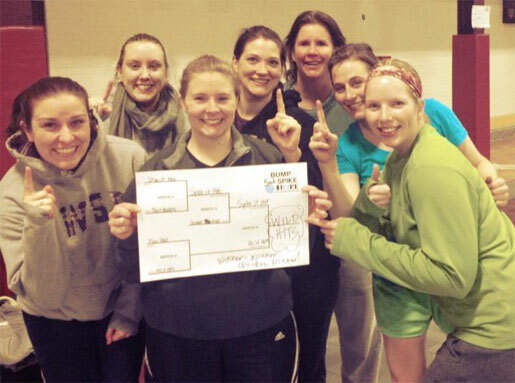 I played in a volleyball tournament on Saturday at the University of Minnesota that benefited a local non-profit and we won 1st place! Woohoo! Due to all of the high fiving and interaction, I caught a bug. So, Sunday was spent on laundry and that's about it. Bill and I did get to discussing my recent internet 'window shopping.' We decided to wait on the rug, but agreed we would go for something more bold than what we have historically picked out when we finally get to that point. I think we're both more concerned with getting old furniture into the basement and finishing up painting first, which is not going very fast. We are also both leaning towards the antique gold curtain/drapery rod from Lowe's. We plan on trying to get over to Lowe's in the very near future to check them out in person before we go with anything. Bill's second place choice is the Oversized Metal Rod from West Elm. I have a feeling that one will for sure end up in our bedroom in the near future. West Elm is less of an adventure for us and is in an area we frequent, while there are about 8 Home Depots and Menard's locations between here and the nearest Lowe's, so we don't end up there too often unless we are looking for something specific there.